Our Mission: To empower the next generation through innovative, rigorous, and personalized educational options. The heart of success for Baker Web Academy is helping all students become motivated, INDEPENDENT learners in an environment of INNOVATION, individualized education, and personal INTERACTION. Baker Charter Schools are two charter schools sponsored by the Baker School District in Eastern Oregon. The schools were founded in 2008 and have experienced exponential growth since then, serving students all across the state. Baker Web Academy offers K-12 students a full menu of classes (online and/or textbook-based) as well field trips, labs, and other face-to-face educational opportunities. 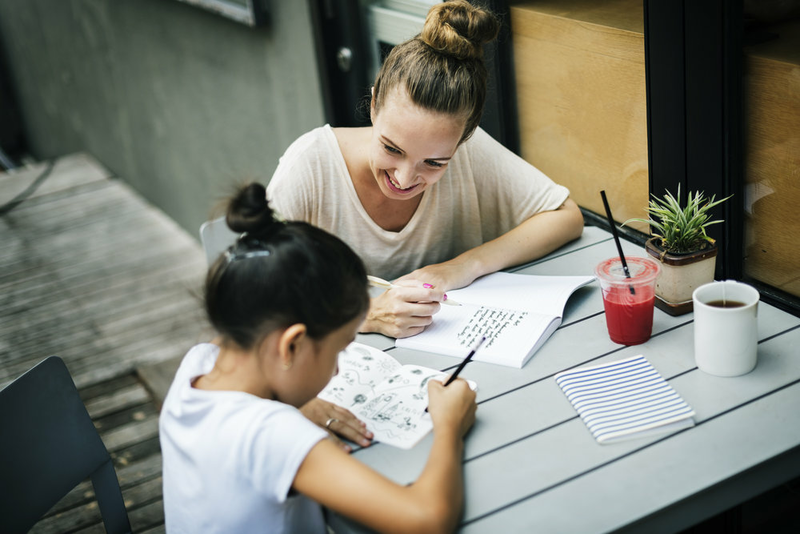 Each family is assigned a mentor teacher who visits the student twice a month in the comfort of the student’s own home, or at a local business if the family prefers. Teachers are Oregon-certified instructors who care about students and want to make their education meaningful and challenging. Students receive the materials they need for success, whether that is a laptop or online guided textbooks. Baker Early College’s purpose is to make COLLEGE possible TODAY for students who are ready for the challenges and rewards so they will be READY for TOMORROW. Baker Early College allows students grades 10-12 a chance to complete high school and start their college experience early. Students attend local community college classes and gain high school and college credit at the same time. BEC pays for 12 credits per term of tuition/fees and $200 in book reimbursements. Students are supported by licensed staff who are experts at making community college studies successful. Many students earn their high school diploma with 1-2 years of college already completed! Q. Is it possible for my student to take an elective course or participate in sports at our local school? With the passage of Senate Bill 208 in 2017, high school charter students can participate in interscholastic activities (sports, music, band, and choir) at their resident district. Families with younger students are encouraged to talk directly first with their local school’s principal if they can participate. Participation does require the approval of the local school’s principal. Students should expect to complete a full school day in their coursework. Elementary students will have a mix of online and paper/pencil based curriculum and usually spend 4-5 hours a day working. Middle through High School students focus more in online courses and work nearly 6 hours a day. Q. How long will my student spend on the computer everyday? Q. About the home-visits every two weeks. Is that a requirement, or is this part of your program flexible? We have learned that every student requires an individualized approach. At our charter, the staff and teachers strive to make every experience a positive one. For example, if your family would prefer fewer home visits, but more virtual interaction, we are happy to make accommodations on a case by case basis. Q. Is my student required to participate in state testing through your program? Yes. Like every other public school, we receive state funds to operate our school and therefore must meet state requirements in reference to state testing. Q. What about students who don't speak English? A. We offer ESL classes, in addition to other language-level appropriate coursework, our forms and materials are translated into Spanish and Russian, and we do our best to make our school accessible to all students. ESL students will receive individualized instruction from an instructor who guides the students through a standards-based and culturally relevant curriculum. Q. Will my student's past home school work count for credit? A. As an accredited school by AdvancED we are unable to award core credit for home school work. Students may take CLEP or credit by proficiency tests to gain credit for home school work. We are only able to offer elective credit for home school. Q. Do you offer support for Special Education Students or Talented and Gifted Students? A. Baker Charter Schools offers additional support for students who qualify as IEP, 504, ELL, and TAG eligible. Services for identified students may vary, depending on each student's specific needs. If you are a parent of a child who is enrolled with BCS and who has not yet been identified for specialized supports, you may request testing to determine initial eligibility. BCS is committed to providing appropriate services for all enrolled students, regardless of eligibility status or category. Our Special Education team will work to assure curriculum, interventions, and online supports meet each students' individualized needs. Please contact your child's advisory teacher regarding IEP, 504, ELL or other individualized programs or to request more information about the eligibility process. Baker Charter Schools’ Board Meetings are held the 2nd Tuesday AFTER THE FIRST MONDAY at 5:00 pm of every month. 2725 Seventh Street; Baker City, OR 97814. Applications for the Baker Web Academy and Baker Early College programs are open year-round--we're always adding students to our rosters for the next semester, and sometimes there's even room for you right away. Our staff is excited to connect with you and build an education plan as soon as you apply. So why not start on a better education path today?